Jonathan Anderegg joins the university this fall as an assistant professor of communication. He served as an adjunct lecturer in George Fox’s Introduction to Communication class in the 2017-18 academic year and also adjunct lectured for Clackamas Community College, Linfield College and Southern New Hampshire University during that same time frame. Previously, he lectured extensively on a number of communication, writing and media disciplines at Ohio State University (2010-17), Wittenberg University in Springfield, Ohio (2015), and the University of Hawaii at Hilo (2015). He worked as a teaching assistant at Ohio State University in 2009-10, and he gained industry experience in film and video production as an assistant manager of production for Dyal Productions (2008-9) and as an audio-visual technician for Ametron, Inc. (2008), both of Hollywood, California. He earned a master’s degree in communication from Ohio State University (2011) and a bachelor’s degree in film/video from Bob Jones University (2007). Jonathan lives in Newberg with his wife Courtney, also a professor in the communication department, and 2-year-old son Liam. The family attends Journey Church in Sherwood. Christine Birch, formerly an adjunct professor at the university, joins George Fox as a half-time visiting assistant professor of education this fall. She will primarily teach online. For the past three years, she has taught the Inclusive Classroom in a Diverse Society class to general education teacher candidates as well as a number of courses in the university’s special education endorsement program. Concurrently, from 2015 to 2017, she worked as an evaluator and a developmental delay specialist for the early intervention/early childhood special education program in the Newberg School District, as well as a tutor using the Orton Gillingham Method. Previously, she conducted specialized tutoring sessions and was a substitute for the Newberg School District (2015). She was also a learning resource teacher at Crater Elementary School as a long-term substitute in 2014. In all, she has more than 20 years of teaching experience, having taught previously in Idaho, Iowa and Kansas. 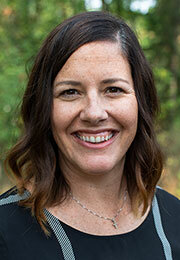 She continues to teach in Idaho as a second-grade reading teacher/specialist at Cole Valley Christian School in Boise. Christine earned a master’s degree in adaptive special education from MidAmerica Nazarene University in Olathe, Kansas, in 2008, and a bachelor’s degree in elementary education, with an emphasis in the educationally handicapped, from Northwest Nazarene University in 1996. She lives in Meridian, Idaho, with her husband, Rodney, and their three children: Robert (14), Christopher (12) and Elizabeth (10). The family attends Tree City Church in Boise, Idaho. 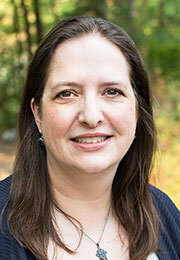 The nursing department welcomes Andrea Caldwell as an assistant professor of nursing this fall. She arrives from Simpson University in Redding, California, where she worked as an assistant professor of nursing for the past year and a half. Prior to that, she held a number of nursing positions at health centers and clinics in California, including as a family nurse practitioner fellow at the Shasta Community Health Center (2016), as a family nurse practitioner at The Oasis Clinic of Chico, California (2015-16), and as an emergency department staff nurse at the Enloe Medical Center in Chico (2010-15). She has worked in the nursing profession since 2007, starting out as a staff nurse at Shasta Regional Medical Center in Redding, California (2007-08). Andrea earned a master’s degree in nursing, with a family nurse practitioner emphasis, from Sonoma State University in 2014. She also holds a bachelor of science in nursing degree from Rush University (2007) and earned bachelor’s degrees in both interpersonal communication studies and world arts and cultures from UCLA (2002). Andrea lives in Salem with her daughters Emily and Nylah. Kelly Carlisle joins the College of Education as an assistant professor of education and director of administrative licensure. He has worked in the Salem-Keizer Public School District for the past 10 years, the last four of which as an assistant superintendent responsible for oversight of K-12 education, instructional services, and student services departments. Prior to that, from 2008 to 2014, he served as the district’s director of secondary education, for which he supervised and supported principals at six large comprehensive high schools and two alternative high schools. Kelly worked previously at Milwaukie High School in the North Clackamas School District from 1986 to 2008, as a principal (2005-08), an assistant principal (2001-05) and as choral director (1986 to 2001). He earned a master’s degree in teaching from Portland State in 1989 and a bachelor’s degree in education from Pacific Lutheran University in 1983. Kelly lives in Salem with his wife Nancy, a school nurse, and they have three children: Geoff, Taylor and Natalie. Kelly and Nancy attend St. Mark Lutheran Church in Salem. 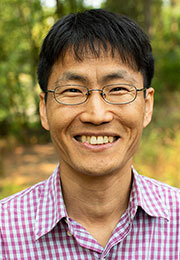 The William Penn Honors Program welcomes Isaac Choi as a faculty fellow and as an assistant professor of philosophy. He arrives from Sacred Heart University in Fairfield, Connecticut, where he was an adjunct instructor of philosophy in 2016-18 and taught introduction to logic and critical thinking. He was also a visiting fellow at the Rivendell Institute at Yale University from 2015 to 2018. Previously, he was a postdoctoral research fellow in philosophy at the University of Oxford (2014-15). Isaac’s areas of specialization include epistemology and the philosophy of religion. He earned a doctorate in philosophy from the University of Notre Dame in 2013 and also holds both a ThM in philosophy and theology (2002) and an MDiv (2000) from Princeton Theological Seminary. 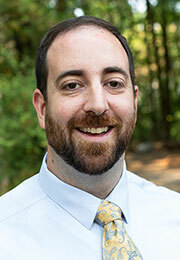 Isaac lives in Tigard with his wife Laura and their two children, Elliot and Lydia. 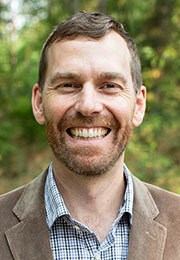 The Department of Music welcomes Dwayne Corbin as an associate professor of instrumental music. He will conduct the Symphonic Band and Symphony Orchestra, in addition to teaching music education courses. For the past 12 years, Dwayne taught at Simpson University in Redding, California, where, in addition to teaching a variety of music courses, he conducted the Shasta Symphony Orchestra. Prior to that, he taught at Wheaton College, in Wheaton, Illinois. He is active as both a conductor and professional percussionist. He has been the resident conductor of the North State Symphony of Redding in Chico, California, since 2013, where he leads youth concerts and guest conducts bands and orchestras. Previously, he served as conductor of The Shasta College Symphonic Band, assistant conductor of the Juneau Symphony, and leader of the Cincinnati Youth Wind Ensemble. He earned a doctorate of musical arts in conducting from the University of Cincinnati College-Conservatory of Music (2006), holds a master’s degree in music from Central Washington University (1999), and earned a bachelor’s degree in music education from Wheaton College Conservatory of Music in Wheaton, Illinois (1997). He lives in Newberg with his wife, Caryn, and sons Andrew and Peter. Gregory Davenport has been hired as the chair and program director of the PA (“Physician Associate”) Medicine program, set to launch in 2021. 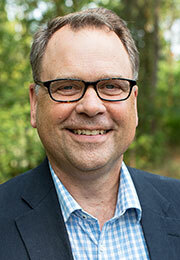 He brings more than 30 years of professional experience in his field, and since 2014 he has served as dean for the Graduate School of Health Sciences at North Greenville University in Tigerville, South Carolina. Concurrently, he was the founding director and professor in the school’s Department of PA Medicine (2014-18) and, for the past year, was also employed as a professor in the University of Lynchburg’s Doctor of Medical Science Department. 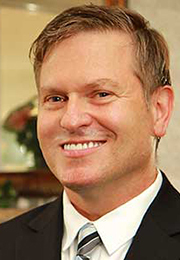 Gregory previously served as dean and founding director for the Department of PA Medicine at Gardner-Webb University (2012-14), and as director of didactic education for the PA Medicine program at Harding University (2010-11). He began his career as a master instructor for the U.S. Air Force, serving from 1982 to 1987 as a Combat Casualty Care Specialist (C-4), and from 1987 to 1991 as a Survival, Evasion, Resistance and Escape (SERE) and personnel recovery specialist. Gregory has also served as board director for the humanitarian organization MEND Global Foundation for the past year and as the lead clinician for a number of international relief trips. Since 1996, he has owned his own company, Greg Davenport, LLC, specializing in wilderness survival and disaster medicine. He holds a doctorate in health science: leadership and organizational behavior from A.T. Still University (2012) and a master’s degree in PA medicine: wilderness/ER focus from the University of Nebraska (2008). He lives in Dundee with his wife Dawn-Marie and four of his seven children, ages 11, 11, 9 and 9 (Abigail, Adeline, Chuck and Cyrus). His other three children are out of school and live in Washington and Nebraska (Jamie, Jenna and Braden). 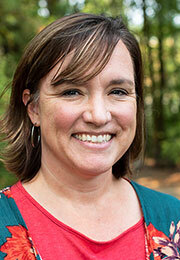 The university welcomes Peggy Gibbons as an assistant professor of social work. She has taught in the school’s social work department for the past two years on an adjunct basis, and from 1999 to 2003 she was on the George Fox School of Social Work Advisory Board. Previously, she worked extensively in healthcare and community development. A common goal in her previous jobs has been to develop programs which increase access to primary medical and mental health care for rural and underserved populations. Peggy has served as a clinical operations manager for Optum TelePsych Services of Austin, Texas (2011-14), as a clinical outreach coordinator with the Texas Association of Community Health Centers (2010-11), and as a program specialist with the Texas Primary Care Office in the Department of State Health Services (2007-10). 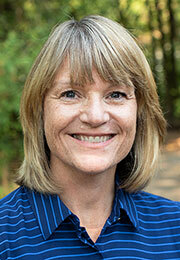 She also has worked for the Oregon Primary Care Association and Oregon Primary Care Office. 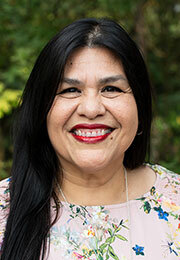 Peggy has also been a school counselor at Edwards Elementary School and Chehalem Valley Middle School in Newberg and at Melissa Ridge Elementary School in Melissa, Texas (2005-07). Peggy holds a master of social work degree from Portland State University (1999) and a bachelor’s degree in journalism from Northern Arizona University (1981). 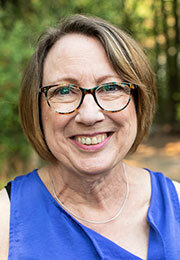 She lives in Sherwood with her husband Scott and attends Tualatin Presbyterian Church. Her daughters Christie and Joy graduated from Newberg High School and are now married with children of their own. Peggy and her husband are thrilled to be grandparents to Adelyn, Clara, Jane and Camden. Alumna Sarri Gibson joins the School of Education this fall as a visiting assistant professor of education. For the past six years she’s taught locally as a visiting professor (2017-18) and as an adjunct professor (2012-17) at Linfield College in McMinnville, specializing in the area of student teacher supervisor. She also taught on an adjunct basis at George Fox from 2013 to 2015. Sarri gained classroom experience as a substitute teacher in the McMinnville School District (2009-12 and 2015-17) and as a reading intervention teacher in the same district (2005-06). She also taught kindergarten, first grade and second grade in the McMinnville School District between 2000 and 2005. Sarri completed the reading endorsement program at Portland State University this spring and holds a master’s degree in curriculum and instruction from Portland State (2005) and a bachelor’s degree in elementary education from George Fox (2000). She lives in McMinnville with her husband Joel, a 2000 graduate of George Fox. They have four children – Maddy (18), Garrett (15), Carter (12) and Rebeka (8) – and attend McMinnville Covenant Church. 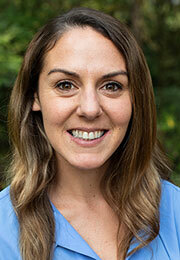 Mary Imboden has joined George Fox as an assistant professor of exercise science. She arrives from Ball State University in Muncie, Indiana, where she has worked as a laboratory testing supervisor in the school’s Clinical Exercise Physiology Program for the past four years. She also taught as an exercise science professor in Ball State’s School of Kinesiology during the 2017-18 academic year. Prior to working in Indiana, Mary was a clinical research coordinator for the Translational Science Institute at Wake Forest Baptist Medical Center in Winston-Salem, North Carolina, as well as an exercise specialist at High Point Regional Hospital in Kernersville, North Carolina (2013-14). She also worked at Wake Forest as a coordinator in the school’s Healthy Exercise and Lifestyle Programs (2011-14). Mary earned a PhD in human bioenergetics from Ball State University (2018), a master’s degree in health and exercise science from Wake Forest University (2013), and a bachelor’s degree in exercise science from Towson University (2011). She lives in Portland with her husband, Andrew, and two dogs, Apache and Juniper, and attends Bridgetown Church. The university’s engineering department welcomes Young Bok (“Abraham”) Kang as an assistant professor of biomedical engineering. Since 2015, he has worked as a postdoctoral research fellow in surgery at the Center for Engineering in Medicine at Harvard Medical School/Massachusetts General Hospital in Boston. Concurrently, since 2016, he’s gained teaching experience as a mentor of fellows and trainees to be supervised at Harvard Medical School. He has also served in teaching assistant positions at Drexel University (2012-15). He holds a PhD in mechanical engineering and mechanics from Drexel (2015), a master’s degree in chemical engineering from Seoul National University in South Korea (2004), and a bachelor’s degree in chemical engineering from Korea University (2001). He lives in Newberg with his wife, Mi Jin (“Sarah”), and children Anna, Miriam and Mose. They attend University Bible Fellowship (UBF) Church in Portland. Ashley Lippard has joined the Department of Art and Design as a lecturer. She’s taught at George Fox on an adjunct basis since 2011, specializing in design courses, including Portfolio Development for Designers, Professional Development for Designers, and Design Studio. She has also owned and operated her own business, Ashley Lippard Strategic Design + Branding, for the past 12 years, working with clients that include The Allison Inn & Spa, Domaine Serene, the Portland Golf Club and singer Melissa Ethridge. Ashley worked previously full time as a design director with VSA Partners of Chicago and New York from 1999 to 2005, working with companies that included IBM, Nike/Brand Jordan, Coca-Cola and American Express. She earned a bachelor of fine arts degree from The School of the Art Institute of Chicago in 1999. She lives in Dundee with her husband Caleb and their children, Naomi and Norah. They attend West Chehalem Friends Church. 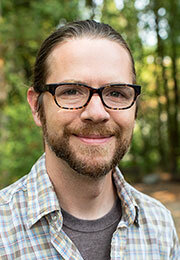 Adam Long joins the Department of Art and Design as an assistant professor of art and design. For the past four years, he’s worked as a lecturer of record at the University of Kansas in Lawrence, Kansas. In addition, since 2006, he has been an adjunct photography professor at Johnson County Community College in Overland Park, Kansas. His teaching experience also includes working as an adjunct photography professor for Arts Institutes International – Kansas City (2009-16) and as an adjunct digital imaging professor at MidAmerica Nazarene University in Olathe, Kansas (2007-10). Adam has also put on a number of solo and group and juried shows for the past 15 years. He holds a master of fine arts degree in photography from the University of Hartford (2013), a master’s degree in photography from the University of Sunderland in Sunderland, England (2005), and a bachelor’s degree in studio art from Azusa Pacific University (1999). He is moving to the area with wife Amy and their three children: Imogen (11), Addison (10) and Adaleigh (7). The English department welcomes an educator, author, speaker and poet, Guadalupe Garcia McCall, as an assistant professor of English. She arrives from San Antonio, Texas, where she worked as an English teacher for the sixth through 10th grades in the Southwest Independent School District since 1991. She has also hosted a number of writing workshops in the past five years, focusing on middle grade and young adult readers (2018), poetry (2017), fiction writing (2016) and writing narrative poetry (2013). She was also the inaugural artist-in-residence at the Arnie Nixon Center at California State University in Fresno, California, in 2017. She has released four books since 2011 and has had her poetry published in a number of publications over the past 20 years. Guadalupe holds a master of fine arts degree in creative writing from the University of Texas at El Paso (2017) and a bachelor’s degree in theatre arts from Sul Ross State University (1989). She and her husband Jim will be moving to the area and seeking a church home. Her three grown sons – James, Steven and Jason – all live in Texas. The university welcomes Ross McCullough as an assistant professor of philosophy and faculty fellow in the William Penn Honors Program. He has taught at Yale College and Yale Divinity School for the past four years, most recently courses on Augustine, The Catholic Intellectual Tradition, Systematic Theology, and Philosophy of Religion. Ross previously gained teaching experience as a tutor for GRE, SAT and high school math in Seattle (2010-11), as a teaching assistant at the University of Notre Dame (2010), and as an English tutor in France (2007-08). He has earned a number of grants and fellowships, including The Common Good as Common Project Conference Grant with the Nanovic Institute at Notre Dame and the Theology and the Natural Sciences Conference Grant from the Templeton Religion Trust, both in 2017. Ross has just finished his PhD in religious studies from Yale University, specializing in theology and philosophy of religion, and holds a master’s degree in the history of Christianity from Notre Dame (2010) and a bachelor’s degree in history and philosophy from Swarthmore College (2007). He lives in Newberg with his wife Hayley and children William (6), Josephine (4), Theodore (2) and Theresa (7 months). The family attends St. Peter’s Catholic Church. Carolyn Milburn joins the university this fall to serve as an assistant professor and director of the new RN to BSN program, scheduled for a fall 2019 launch. For the past three and a half years she’s worked as the first-year program chair in the Chemeketa Community College Associate’s Degree Nursing Program. 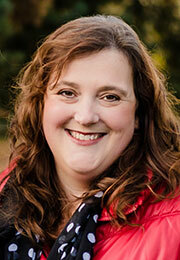 She has also worked at Chemeketa as a nursing instructor since 2011. Previously, she was at Pioneer Pacific College as the associate program director of its practical nursing program (2010-11) and as a nursing instructor (2008-10). Carolyn also gained experience in the profession as a home health nurse and case manager with Community Homecare Northwest from 2001 to 2009. She earned a master of science in nursing degree, with a specialty in nursing education, from Walden University (2012) and a bachelor of science degree in nursing from Oregon Health and Science University (1998). She lives in Hubbard with her husband Mike and son Will (12). They attend Grace Chapel in Wilsonville. 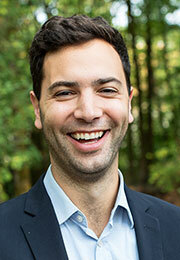 The College of Business welcomes Andrew Moses as a visiting assistant professor of business. He has taught at George Fox on an adjunct basis, two courses in the part-time MBA program, one course in the full-time MBA program and four courses in the undergraduate program in 2017-2018. Before moving to Portland in April 2017, he worked in a number of senior positions in India and Hong Kong, primarily as an international banker with HSBC and ANZ Grindlays. He was senior vice president of Network Management, Global Custody (2011-12), senior vice president of business improvement for HSBC Securities Services (2005-11), and senior manager for quality management of HSBC Security Services’ sub-custody business in Asia, the Middle East and the Mediterranean (2002-05). Previously, he did manager training with HSBC India (1989 to 1998), principal credit training with ANZ Grindlays (1981-89) and faculty for credit training at the Sir Sorabji Pochkhanawala Bankers Training College in India (1975-81). He was also the director for AKT India from 2012 to 2015. Andrew has also done extensive ministry work, serving as a lay pastor for many years and starting a church for Indians in Hong Kong, among other activities. 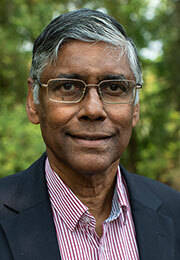 He holds an MBA from the Indian Institute of Management in Ahmedabad, India (1974) and a master’s degree in Christian ministry from Ecclesia Bible College in Hong Kong (2006). He lives in Portland with his wife Beulah, who holds a PhD in electronic engineering. He has two daughters, both married: Sarah to Luke Tatone, who live in Portland with their 4-year-old daughter, Abigail, and Rebekah to Chris Bodden, who live in Beijing. He is part of the downtown campus of City Bible Church, and both he and his wife are involved in supporting their marriage ministry. 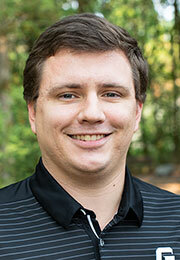 The university welcomes an alumnus, Walker Orr, as an assistant professor of computer science this fall. He makes the transition to full time at the university after teaching on an adjunct basis in 2017-18, when he taught introduction to computer science courses. He has also worked at Oregon State University for the past eight years as a researcher and teaching assistant. 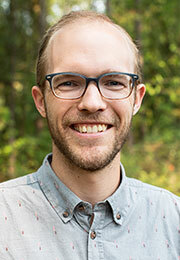 Prior to teaching at George Fox, Walker was a research assistant at Johns Hopkins University (2013-14) and a research intern at BigML in Corvallis, Oregon (2011). He gained industry experience as a software engineer for Net Result North America in Seattle (2007-10). Walker is currently in the doctoral program at OSU, specializing in studying artificial intelligence and machine learning, with a focus on natural language processing. He also holds a master’s degree in statistics from OSU (2015), as well as a bachelor’s degree in computer science from George Fox (2007). He lives in Corvallis with his wife Heather, a 2008 George Fox alumna, and their 4-year-old daughter, Kaelyn. The family attends Oakville Presbyterian Church in Shedd, Oregon. A former George Fox employee, Valorie Orton, is returning to the university this fall as an assistant professor of nursing. She worked previously at the school as an assistant professor in the nursing program (2011-12) and as the campus nurse (1999-2007). 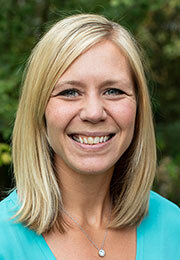 More recently, she has worked the past six years as an instructor in Seattle Pacific University’s nursing program. She has also worked the past three years as coordinator of the CarePoint Clinic of Fall City, Washington, a free health care clinic for vulnerable populations that she founded in 2015. Valorie brings more than 40 years of experience in the profession, as she has also worked in the nursing program at the University of Portland (2007-11), as a staff nurse at Tuality Community Hospital in Hillsboro, Oregon (1997-99 and 2007) and as a staff nurse at Kaiser Permanente of Portland (1994-97). She began her career as a nurse at Providence Portland Medical Center in 1975. She holds a master of science degree in nursing from the University of Portland (2007) and a bachelor of science degree in nursing from Seattle Pacific University (1975). She is currently enrolled in Seattle University’s doctor of nursing practice program, with a 2019 anticipated completion. She and her husband are moving to the area. They have two children, Paige and Trevor, who attended George Fox in the early 2000s. The Ortons plan to seek a church home once settled. Danielle Pappas joins the university as an assistant professor of counseling and as director of the school psychology program. For the past 12 years, she has worked as a school psychologist for the Linn Benton Lincoln Education Service District in Albany, Oregon, where she conducted evaluations and consultation services for various schools within the district. Before that, she was an intern school psychologist for the Tennessee Internship Consortium of London, Tennessee (2006-07), a graduate teaching assistant (2004-05) and graduate assistant/graduate student editor (2002-04) for the University of Tennessee’s Educational Psychology Department in Knoxville, Tennessee. 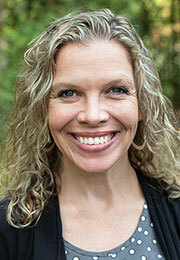 Danielle holds both national certification and state licensure as a school psychologist. She earned a PhD in school psychology from the University of Tennessee (2006) and holds a bachelor’s degree in behavioral science from Northwest University (1994). She lives in Albany with her husband, Dave Pappas, and four children: Devanee (17), Drew (13), Dash (9) and Dez (9). They attend The Grove Church in Albany. Seth Preuss has joined the university’s athletics department as an assistant director of sports information. He has worked the past three years as the sports information director at Hope International University in Fullerton, California, where he tracked statistics, managed game events, and produced content for the school’s athletics website and social media platforms. In the six years prior to that, he served as a student worker and graduate assistant in athletics at Concordia University Irvine in Irvine, California. He was also a graduate assistant for Concordia’s Around-the-World-Semester program in 2013-14, helping to select, train and guide a team of CUI students to 10 countries over a five-month period. 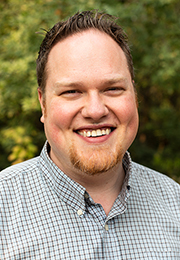 Seth is currently working on his Master of Arts degree in Theology at CUI, and he earned a bachelor’s degree in history from the same school in 2013. He lives in Portland with his wife, Lauren, and attends Pilgrim Lutheran in Beaverton. A mechanical engineer who specializes in the area of automated engineering design in the realm of ocean wave energy, Chris Sharp, has been hired as an assistant professor of mechanical engineering. He earned a PhD in mechanical engineering with an emphasis in design and renewable energy from Oregon State University this spring. While at OSU, he helped to create and instruct the Design for Manufacturing course (2017) and served as a graduate teaching assistant (2013-14). He has also served as a graduate research assistant at Oregon State since 2013, focusing on the creation of an optimization algorithm for wave energy converter array design. Prior to earning his doctorate, Chris earned a master’s degree in mechanical engineering from OSU (2015) and a bachelor’s degree in the same discipline, as well as applied mathematics, from the University of New Mexico (2013). Outside of academia, Chris serves as a camp director for Worldview Academy, a traveling weeklong Christian leadership and apologetics camp for high school students, from 2013 to 2015 and since 2017. He is moving to Newberg with his wife Laura, and they are looking forward to investing in the community and in a local church. 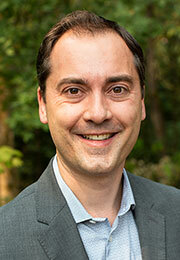 Sean St. Jean has joined the university as an assistant professor of social work. For the past five years, he has worked as a family preservation counselor at the Vancouver Aboriginal Child and Family Services Society in Vancouver, British Columbia. Prior to that, he was a graduate teaching assistant at the University of British Columbia (2013), an instructor in the Family and Community Counseling Program at Native Education College in Vancouver, B.C. (2013), and a child protection social worker at Vancouver Aboriginal Child and Family Services Society in Vancouver, B.C. (2010-13). 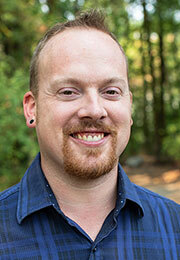 In all, Sean has more than 10 years of experience in the social work profession. 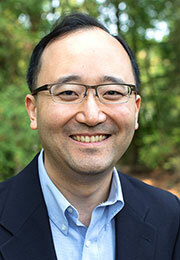 His research interests are in the areas of child welfare, vicarious trauma and early-career social workers. He successfully passed his PhD dissertation defense in May and is on track to graduate this November with a doctoral degree in interdisciplinary studies, awarded by the Faculty of Graduate Studies at the University of British Columbia’s Okanagan Campus. He also holds both a clinical master of social work degree (2010) and a bachelor’s degree in social work (2009) from UBC Okanagan. Sean lives in Wilsonville with his wife, Erin, and their children Noah, Jacob and Andrea. An alumna of the university, Angie Taibbi, is returning to campus this fall as an assistant professor and director of the athletic training program. 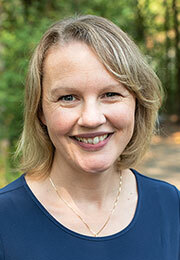 She will also serve as the program’s clinical education coordinator. For the past three and a half years she has worked as director of rehabilitation and lead physical therapist with Infinity Rehab in Newberg. Before that, she was an acute care physical therapist with Salem Health from 2006 to 2014. Angie gained teaching experience as a mentor for new hires at Infinity Rehab and also provided job shadowing experience and mentoring for undergraduate, pre-physical therapy students at both of her previous places of employment. She was also a clinical instructor for first-, second- and third-year physical therapy students at Salem Health. Outside of work, Angie has served as a high school youth coach at Newberg Christian Church for the past five and a half years. She earned a doctor of physical therapy degree from Arizona School of Health Sciences in 2006 and a bachelor’s degree in health and human performance: athletic training from George Fox in 2003. Angie lives in Newberg with her husband, Chris, and golden retriever, Riggins. Angie and Chris attend Newberg Christian Church. Jeffrey Walters joins the engineering department this fall as an assistant professor of civil engineering. Jeffrey’s passion and calling in research and teaching focus on the application of engineering techniques and systems modeling approaches for sustainable infrastructure in developing world contexts. For the past two years, he’s served as a technical expert for USAID’s Sustainable Wash Systems Learning Partnership, a consortium dedicated to applying, researching and learning about systems-based approaches to improving the sustainability of water, sanitation and hygiene services around the world. He has also worked abroad for the past three years as an assistant professor at the Universidad Diego Portales in Santiago, Chile, where he won his department’s Teacher of the Year award in 2017. He has spent the last few years working on projects to promote water, sanitation and hygiene programs in countries that include Ethiopia, Kenya, Uganda, Cambodia, Nicaragua, East Timor and Chile, along with investigating how to integrate systems-thinking within engineering education. His future research program focuses on the development and application of participatory systems modeling techniques for water, food, and energy infrastructure planning and management from a “Nexus” perspective. Prior to taking the position in Chile, Jeffrey was at the University of Colorado in Boulder, Colorado, where he was a Mortenson Fellow in Engineering for Developing Communities (2013-15) and GK-12 Teaching Fellow (2012-13). He was also the co-founder and director of overseas programming for the Second Mile Water company in Boulder in 2011-12. Jeffrey earned a PhD (2015) and a master’s degree in civil systems engineering, with a concentration in environmental engineering (2012), from the University of Colorado Boulder. He also holds a master’s degree, with a concentration in structural engineering, from the University of Washington (2008). He lives in Newberg with his wife, Jessie, and two daughters, Rayna and Adela. In his free time Jeffrey enjoys climbing, mountain biking, cooking, and deep conversations over strong coffee. Shannon Johnson (Advancement) has left the university, and Yune Tran (Education) has left the school as a full-time faculty member. She will continue to work at George Fox on an adjunct basis. This entry was posted on Monday, August 20th, 2018 at 9:14 am	and is filed under E-Colleague. You can follow any responses to this entry through the RSS 2.0 feed. Both comments and pings are currently closed.